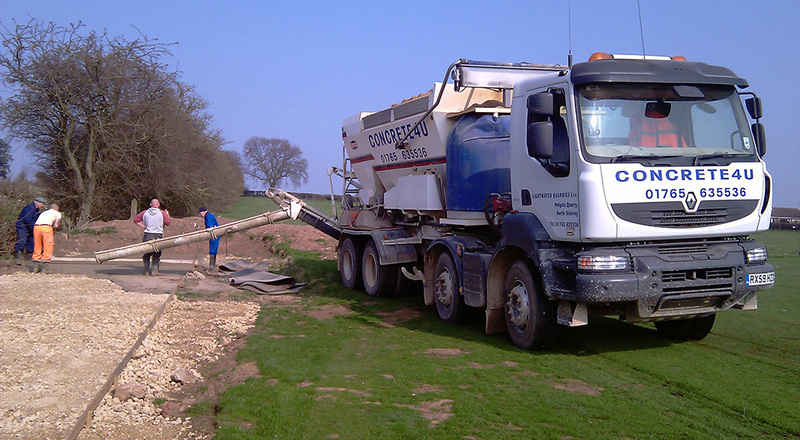 We are able to supply all types of concrete for domestic requirements. 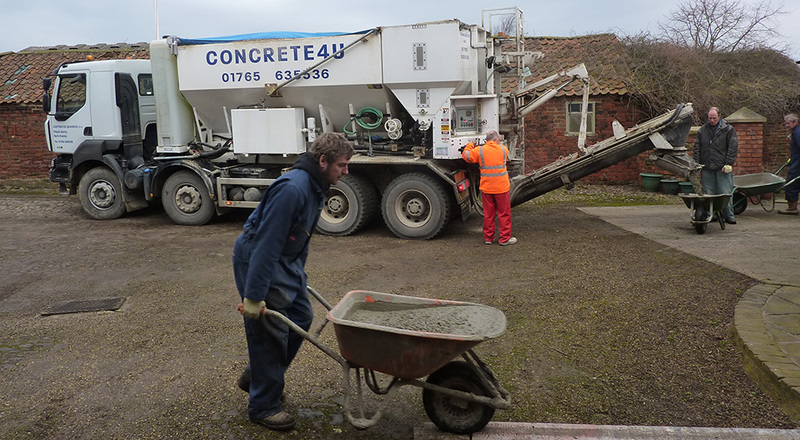 If you need domestic concrete in Harrogate then give us a call as we can offer advice on the type if concrete you need as well as the quantity. With our mix on site wagons and mini-mix drum access is rarely an issue but if your site is narrow or has restricted access we just ask you to let us know so we can guarantee the exceptional service our reputation is built upon. With our mix on site wagons and mini-mix drum we can guarantee you only get what you need…no more and no less! This means there is never any wasted concrete for you to dispose of as we can mix exactly what you need and when you say stop…we stop! We carry two wheel barrows on our wagons and although we do not provide any ‘man power’ to push them they are there for your use! The wagons also have a chute on the back that goes between 3 and 4 meters depending on the angle and they have an elevation of up to 1.1meter in order for the wagons where needed to deliver over a garden wall or through a window! !